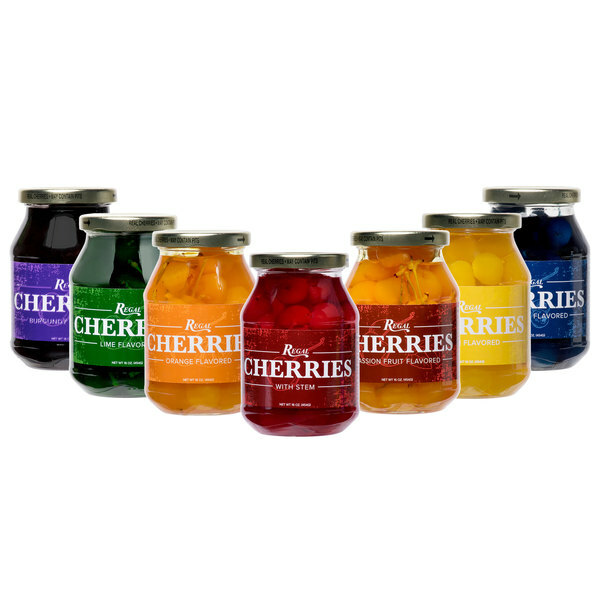 Throw a splash of color on your drinks and desserts with these Regal 16 oz. red maraschino cherries without stems! Featuring a vibrant red color, these unique cherries are sure to brighten up your menu items and bring something new to the table. There are plenty for you to use to match the color scheme of your next holiday display or special event. Thanks to Regal Foods, you'll be sure to get the brilliant color and sweet cherry taste you're looking for at a great value! "The red maraschino cherries with out stems make a great item to garnish my Black Forest Cakes. The stemless cherries are great and no need to have to pull them off myself. That helps make for quick and easy decorating. A great product." These red cherries are particularly useful for topping colorful creations like jello shots, frozen yogurt, and frosted cupcakes. Preserved and sweetened, they are ready to use right out of the container. 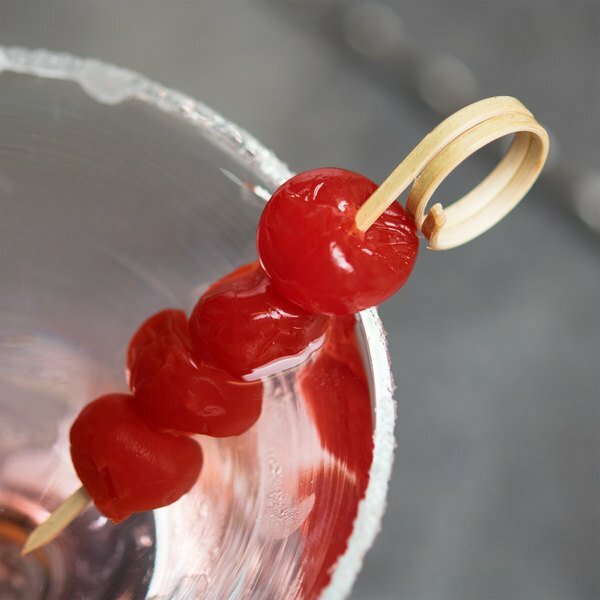 These cherries make an excellent decorative drink garnish for a variety of cocktails, including amaretto sours, tom collins, and manhattans. You can even add them to shirley temples for a pop of color that guests of all ages can enjoy. These cherries boasts a crisp flavor and soft texture, making them a must-have topping for your restaurant, bar, ice cream shop, or bakery. Your guests will love the punch of color and flavor these cherries bring to the table! Great flavor and good quantity. I use these in my bar and every body loves them. They last a long time and hold up. Will order again. Regal Red Maraschino cherries without stems are a good topping for ice cream and other desserts. You can also directly use them in fruit salad since they don't have stems. 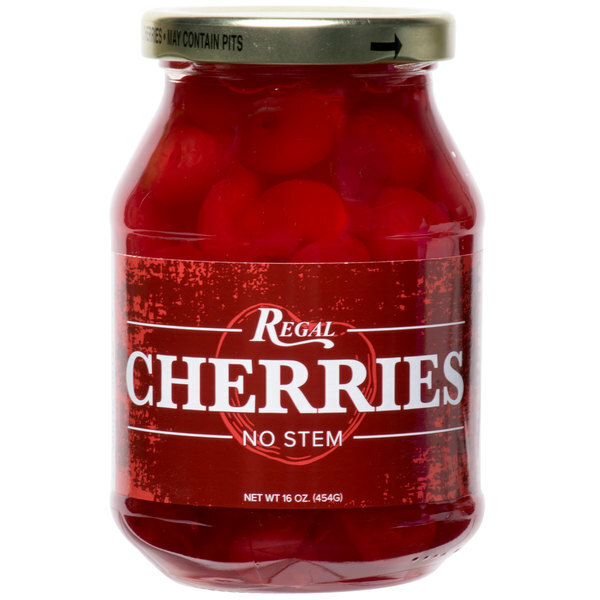 These Regal Red Maraschino Cherries without stems are good as part of fruit salad or with ice cream for a chewy texture and to add color to a dish. The red maraschino cherries with out stems make a great item to garnish my Black Forest Cakes. 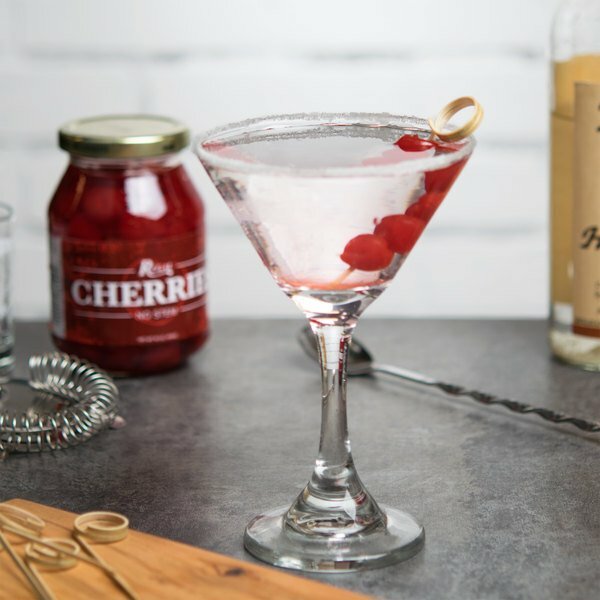 The stemless cherries are great and no need to have to pull them off myself. That helps make for quick and easy decorating. A great product. Delicious cherries and I like that they already have the stems removed. The glass jar retains freshness. Can be used for cocktails or desserts! This is a great product. Regal 16 oz. red maraschino cherries without stems. These are the original tasting cherries that I know almost everyone will love! Used with drinks, dishes, and of course ice cream! These red maraschino cherries come in a 16 oz. jar. They are great for parties or any get togethers. 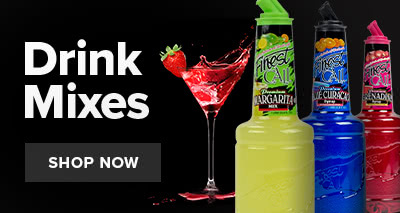 Also great just to add to your soda. Regal 16 oz. 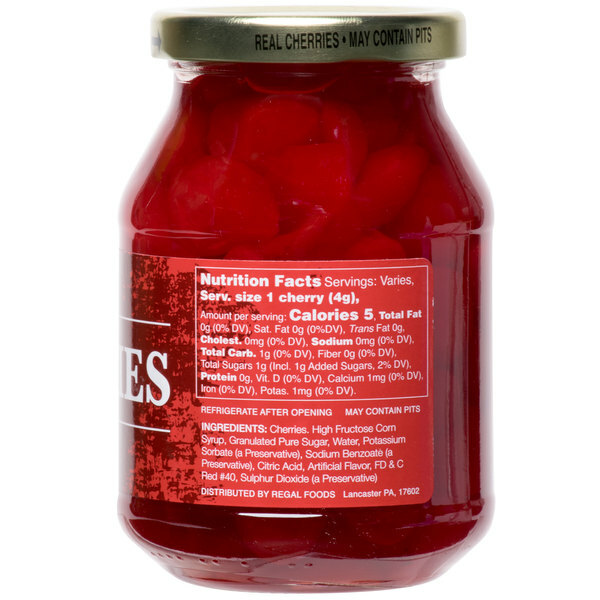 Red Maraschino Cherries without Stems Great product especially for ice cream also good for cherry coke. I love them so much yum. A wonderful topper for ice cream sundaes and milkshakes. 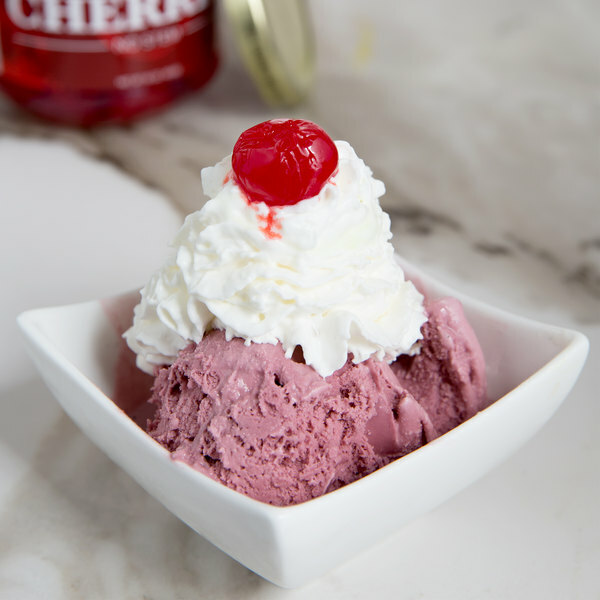 The cherry has a classic look and is a must for completing the look of retro ice cream sundaes and banana splits. Cherries without the stems is the way to go! It prevents having to stick your fingers into the dyed juice and getting them stained and also prevents a mess / extended cleanup time.